Circuit breakers act as an automatic shut-off for dangerous electrical problems, such as overloaded circuits and short circuits. Although breakers trip intentionally to warn you of a problem, it’s also possible for a circuit breaker to trip without any clear reason. If you have mysteriously tripping breakers or the breaker switch looks cracked, melted, or broken, call our licensed electricians immediately for circuit breaker replacement or repair in the Houston area. Aaron’s Electrical Services offers free estimates and same-day appointments. We offer a 100% satisfaction guarantee for all electrical circuit breaker repair, replacement, and installation services by our licensed, bonded Houston electricians. Call (832) 702-4263 or request more information online for circuit breaker replacement in Montgomery or Harris County. If the breaker trips while barely running any load, you almost definitely have a short circuit or another wiring problem. If the breaker does not trip until you’ve plugged in several appliances, you may be overloading the circuit. In this case, you should consider adding dedicated appliance circuits for big-ticket items or other electrical upgrades. If you do not wish to test your circuit breaker or breaker box on your own, contact the Houston electricians at Aaron’s Electrical Services today! It’s fairly common circuit breakers to need to be repaired or replaced in their lifetime, and that’s why Aaron’s Electrical Services offers circuit breaker replacement and repair in the Houston area. All of our circuit breaker services get your breakers up to the latest NEC code and ensure that your circuit breaker or breaker box is safe to use for years to come. If your circuit breaker needs replacing, call Aaron’s Electrical Services today at (832) 702-4263! 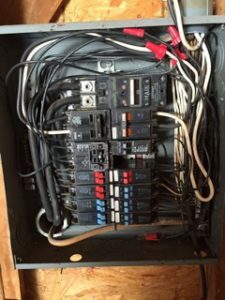 Successfully replacing a circuit breaker or a breaker box requires a skilled and experienced professional. Aaron’s Electrical Services has the trained electricians you can trust for breaker replacement in the Spring or Houston area. We offer free estimates, convenient appointment times, and a 100% satisfaction guarantee. You can expect nothing short of top-quality work and a smoothly functioning breaker panel when we’re through. 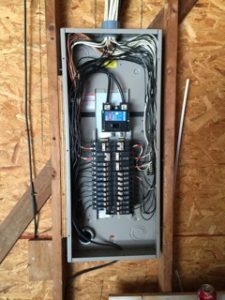 If a wiring or breaker panel problem might be posing a danger, please call us immediately to schedule an appointment or for emergency electrical repairs in Montgomery or Harris County, Texas. To schedule an appointment for circuit breaker replacement or repair in Houston, please contact us online or give us a call at (832) 702-4263 any time!